Briefly noted–the GAO report on special ed’s paperwork burdens. In January 2016, the GAO issued a report about the special education administrative burdens imposed by federal, state and local governments, “SPECIAL EDUCATION—State and Local Imposed Requirements Complicate Federal Efforts to Reduce Administrative Burdens.” The GAO studied federal and state/local paperwork and compliance requirements that impede educators from their job—education, and Congress’ attempt to ease them. The report can be found at http://www.gao.gov/assets/680/674561.pdf. Of course, it’s good that the paperwork and compliance burdens imposed by laws on educators and schools is getting yet another public look. However, and not surprisingly (but interestingly), the GAO found that Congress’ 2014 IDEA efforts toward paperwork reduction—had no effect in the nation’s schools and classrooms. Specifically, Congress created two pilot projects allowing waivers: one, to have multi-year IEPs, and the other to waive certain paperwork requirements. Neither happened! Nobody used them! Why, one may ask. The report cites several possible reasons. Here, two of them are highlighted. We can’t make this stuff up. The pilot projects required more paper and more staff members to reduce paper! 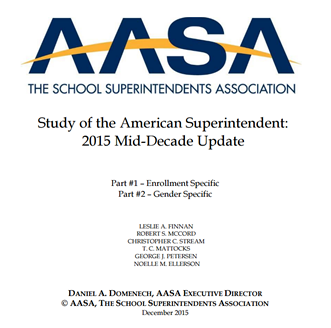 Second, the NASSP (National Association of Secondary School Principals) indicated that no members favored the paperwork reduction waivers “in part because the perceived risk of exposing local districts to potential litigation if they were to eliminate any of the requirements that parents have come to expect.” (emphasis added). Again, we can’t make this stuff up. It’s time for honesty and real solutions. The law created a paperwork and compliance monster in 1975 that continues to grow and morph to this day. Congress needs to fundamentally change that—fundamentally, from the ground up. Band aid attempts to fix it will not work. The only way around it is to end that compliance monster. With finality. With clarity. Not with scary waivers and new paperwork that add new burdens! While we wait for that to happen (undoubtedly a long, long wait), in the meantime, Congress should affirmatively allow and encourage voluntary agreement options to thrive. One of these was “Procedures Lite,” which we successfully implemented several years ago in Massachusetts until the authorities forced that effort to shut down! A sad day indeed, as I saw it. At the very least in any new reauthorization, Congress should state unequivocally that it encourages voluntary parent and school agreements to work cooperatively and to waive requirements that they believe impede the planning and education for the child. To make this work, Congress should assure parties that the law will not impose additional paperwork burdens on them (as described above by NASDSE). Otherwise, reforms will not spring up, as we learned the hard way in Massachusetts. We can only hope! The GAO has shown what so many of us know: So long as this legal entitlement (for parents and students with disabilities) exists, it is reasonable for schools, and state and local authorities to be reluctant to not dot all I’s and cross all T’s. The waste of time and effort and loss of trust and collaboration involved in doing all of that means that the education for all children will continue to suffer. FAPE in a Dear Colleague Letter. Read my new blog on the AASA website! Administrators in public schools are well aware of the fact that the Department of Education issues “Dear Colleague” letters on many issues from time to time. While these letters don’t have the force of law, they often create controversy and confusion. One of these, the November 16 Letter about a free appropriate public education, is discussed below. The seven-page Letter tells educators—presumably, general and special educators—that holding students with disabilities to “rigorous academic standards and high expectations” is a “shared responsibility for all of us,” and that these students should be taught the “same challenging academic content and achievement standards [as] all children in the State”… at the “grade level in which the child is enrolled” TheLetter raises many concerns. First, it is unclear whether the general education teachers and administrators’ perspective was taken into account. Their voice and leadership in this “shared responsibility,” especially as most services are provided in general education classrooms, is vital. Two special education Department offices authored this Letter—OSEP (Office of Special Education) and OSERS (Office of Special Education and Rehabilitative Services). Where is general education’s OESE—Office of Elementary and Secondary Education? While this Letterpresumes to be about special education, it is also very much about general education. OESE needs to be at the planning table especially since the Letter urges the same standards for all students “regardless of nature or severity of the disability.” Without input from general education, this Letter is simply a one-sided approach—like the tail wagging the dog. Second, while no one disagrees about the importance of holding all students to high standards and expectations, I fear that the Letter downplays the cornerstone of special education law—individualization. The Individuals with Disabilities Education Act (IDEA) provides services to meet eligible students’ unique needs. Yet, this Letter appears to gloss over the reality that, even with similar curricular standards, students’ rate of learning and ability to master skills and concepts will differ, as they are impacted by the nature and severity of their disability. The concept of “closing the gap” (Letter, at page 5), while prominent in thisLetter, is inconsistent with the IDEA!